Brown garden snail (Cornu aspersum) is a mollusk pest. It was first detected in New Mexico in 1989. 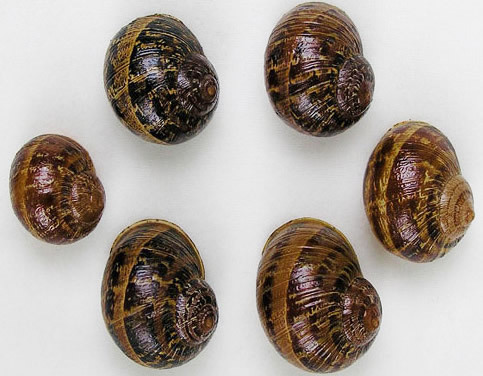 Juvenile and adult snails feed on a wide variety of plants and small plants may be totally consumed. Feeding snails leave ragged holes and slime trails on plants. .